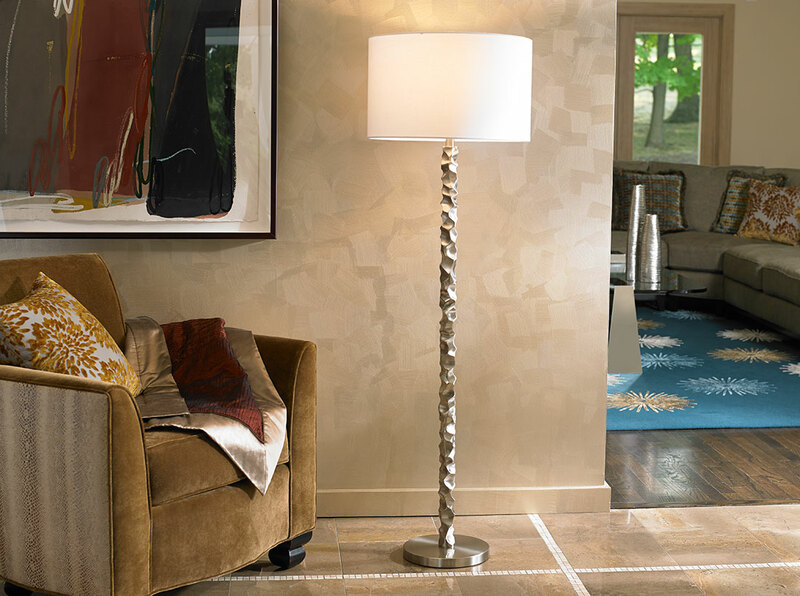 This chic floor lamp has a uniquely sculpted silver frame that is faceted in gemstone-inspired prisms that catch the eye. 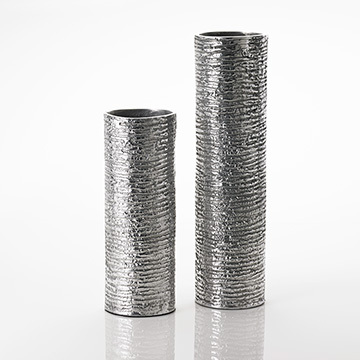 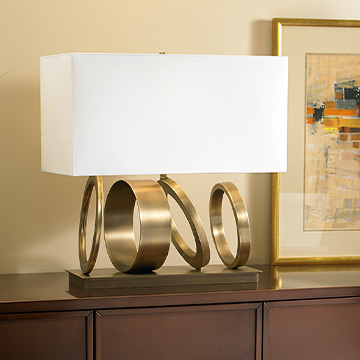 Modern yet timeless, illuminate a nook of your home with this stylish essential. 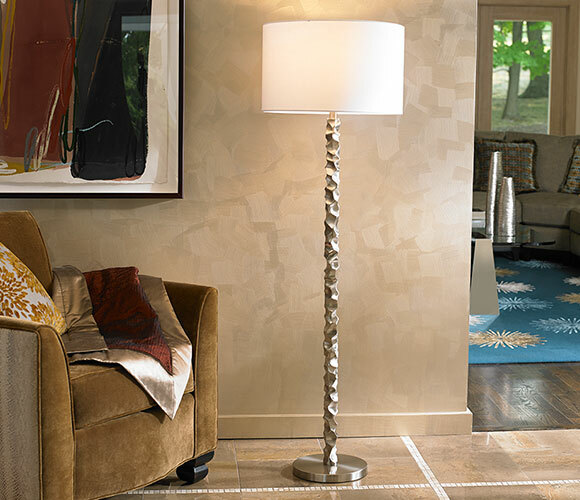 Abstract base design; Silver finish base; Drum shade in white linen; Uses 150W three-way bulb (not included); Shade: 17.75" diameter x 11" high; Overall: 59" high; Allow 2-4 weeks for shipping.